As home values increase, current homeowners are choosing to redecorate and renovate rather than buy up to a newer home. With a shortage of desirable, affordable homes on the market, first-time buyers are opting to purchase a less expensive home and remodel when the home they prefer is not available. 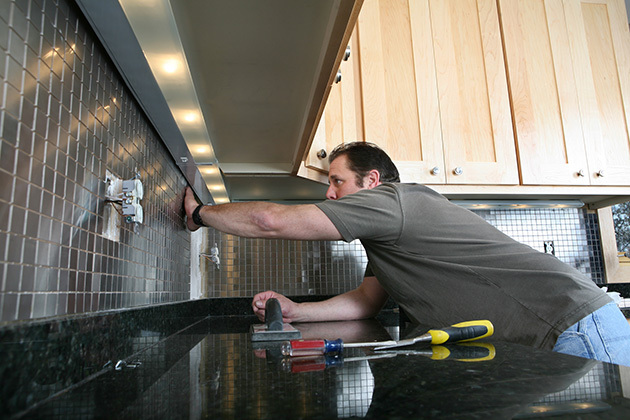 These trends are especially good news for professional remodelers and designers, as owners are more likely to enlist the services of a pro when undertaking bigger, more expensive projects. Those are the findings of several recent studies of homeowners' remodeling activities and preferences within the past 12 months. Although the findings vary somewhat depending on each survey's participant sample, studies conducted by the National Association of Home Builders (NAHB), Home Advisor and Houzz each reveal that homeowners last year substantially increased the level of redecorating and renovation projects they undertook in the last year and increased their spending on average, as well. According to Home Advisor's 2017 True Cost Report, based on responses from 500 homeowners queried in February, the average homeowner spent nearly 60 percent more on home projects in the past year than in the prior 12-month period, at an average increase of $850 per household, for a nationwide increase of 7 percent in total expenditures. The study also found that newer owners were more likely to redecorate in order to "personalize" a home, whereas long-time owners tend to fix up or renovate in order to refresh the look of a home. Of greater interest to remodeling and design pros, the 2017 Houzz & Home Study, which gathered responses from 106,778 Houzz visitors between February and April, found that both current owners and first-time buyers had increased their spending on redecorating, renovations and repairs in 2016 compared with 2015. Only 20 percent of participants said they had undertaken improvements because they planned to move or sell their home. Baby boomers and older homeowners (those age 65 and older) spent roughly three times as much, and first-time buyers reported a 22 percent increase, spending on average at total of $33,800. Houzz users tend to have higher household incomes than respondents to the Home Advisor study. Among boomers and older homeowners, NAHB remodelers report a sizable increase in requests for aging-in-place modifications. In 2016, 80 percent of respondents to the association's home remodeling survey said they were doing aging-in-place projects, compared to 68 percent in 2013. They also indicated that consumers are more aware of the types of modifications they can make to their homes to make them more age-friendly, since they plan to remain in their current home for many years to come. Barring an unexpected downturn in the economy, employment or consumer confidence, remodeling activity should remain brisk for the remainder of this year. Home Advisor says nearly two-thirds of homeowners plan to spend as much or more this year on home improvement as they did in 2016. And more than half of the respondents to the Houzz survey plan to start or continue renovations this year, at an average cost of $27,300, or 7 percent higher than last year. Reflecting a slowdown in home sales and remodeling permitting at the beginning of the year, and anticipating what it deems "an approaching cyclical slowdown," the Joint Center for Housing Studies at Harvard University adjusted its Leading Indicator of Remodeling Activity (LIRA) forecast in April. The LIRA anticipates that home improvement spending would likely peak in the first quarter and then decline steadily thereafter, going from 7.3 percent to 6.1 percent by the first quarter of 2018. However, as home sales have improved recently and consumers are feeling positive about their home values and household incomes, it's possible we will see an uptick in those number in the next LIRA forecast. Professionals remain optimistic. NAHB's Remodeling Market Index (RMI) for the first quarter of 2017 was up five points over the fourth quarter of last year, buoyed by continued customer demand. Likewise, Houzz's Q1 2017 Renovation Barometer finds home renovation and design firms are "bullish" about their prospects for business in the the second quarter. Both designers and remodelers reported notable increases in project queries, new project requests and the size of projects in the first quarter, compared to the fourth quarter of 2016. Those numbers are reflected in the Houzz & Home Study, which found 87 percent of participants hired a professional to help with their project, up from 85 percent last year.